Nojuku (野宿) means literally homeless, wilderness camping. 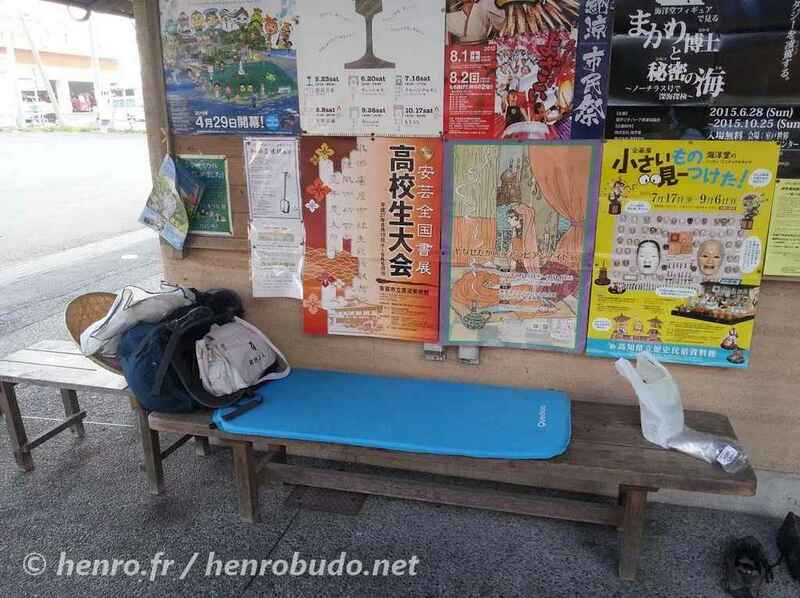 Some o-henro (pilgrim of shikoku), but not the majority make the challenge to sleep outside or in shelters summary (Henro Goya). This may be for reasons of budget, a night in a minshuku costs between 5000 and 7000 yen or ascetic grounds. Sleeping outdoors does not have to mean camping. 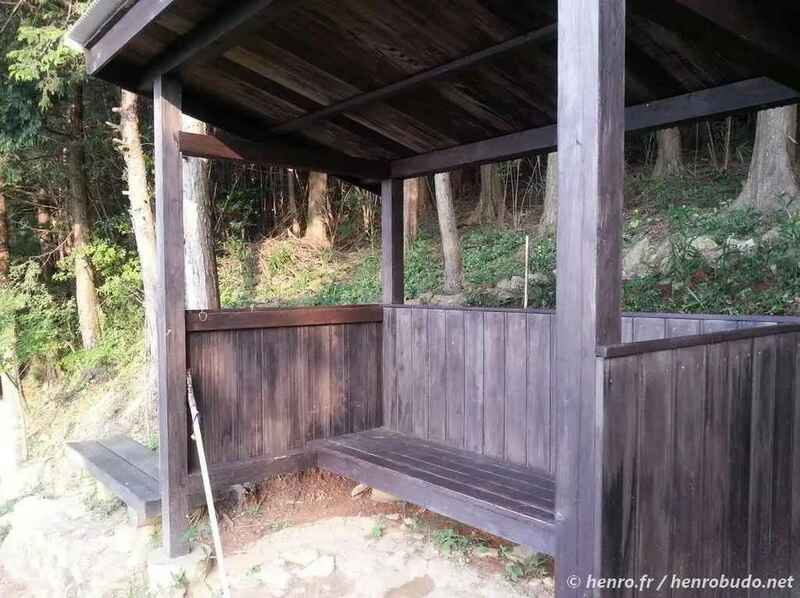 It is possible to spend the night in such places as small huts on the grounds of temples and shrines, bus stop huts, train stations and under the roof of storage huts. When using such places it is necessary to get the permission of the person in charge. However, if such a person is not available, one should to talk with the local people who live nearby. One of the favourite places of the Japanese are these resting places road (Michi No. eki) for reasons of amenities. Indeed there are open toilets overnight and shops of local products. I advise against them highly, especially in summer. Indeed many motorists (and sometimes road) sleep in their vehicle, engine running in order to enjoy the air conditioning. Sounds and smells, you will prevent sleep. A spiritual sense: when Kukai traveled around Shikoku, sleeping outside (nojuku) was virtually an obligation. 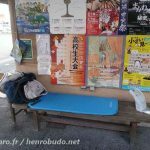 So if o-henro (Pilgrim) wants to give a sense of ascetic initiation following in the footsteps of Kobo Dashi, it is natural to sleep outside and to refuse the luxury of the minshuku. However, it adds a certain fatigue in the market, the recovery is often not perfect. But it gives a deeper meaning to the pilgrimage and sometimes great meetings. 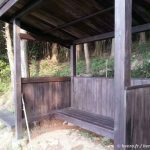 However pilgrims choosing nojuku, benefit sometimes put a little more comfortable shelter to their provisions by temples (Tsuyado) or individuals (Zenkonyado).